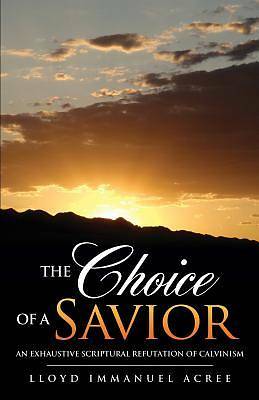 Written by a former Calvinist, The Choice of a Savior draws from a defining personal struggle with depression and over 175 Scripture references to assess the pitfalls and errors of Calvinism. The author integrates the pursuit of God, disciplined hermeneutics, and depth of thought to untangle a widely professed system of divisive presuppositions. Enjoy cultivating a strong grasp of Christian theology in a step-by-step systematic analysis on such topics as divine favor, predestination and foreknowledge. Although painstakingly thorough, The Choice of a Savior concisely demonstrates that the Bible, when handled appropriately, proves itself consistent and impartial. Lloyd Acree is a former U. S. Marine Corps infantryman. He served honorably for eight years of active duty during Operation Iraqi Freedom and Operation Enduring Freedom. Having accepted Christ as a child, he has been studying the Bible for over fifteen years under the mentorship of pastors, military chaplains, missionaries, elders, family and friends. He currently lives abroad as a security contractor for the U.S. military."